As a business advisor, a common question I’m often asked is if team-building activities are actually important. The answer is a resounding yes. You may not realize it, but you may be doing yourself a disservice as a business owner by not taking the time to focus on building the strength of the relationships between your team members. When you have a team that is constantly working together, a mutual trust between all employees will make every process much smoother. Employees are able to depend on one another and become more productive as a result of trust. A team that can’t communicate will never get anywhere fast. While everyone has different styles of communicating, understanding these differences will make your team more efficient and better functioning overall. An “every man for themselves” mentality is detrimental to a successful team. Creating strong bonds between your employees will help them realize the interdependency of the team and appreciate the collaborative opportunities available to them. 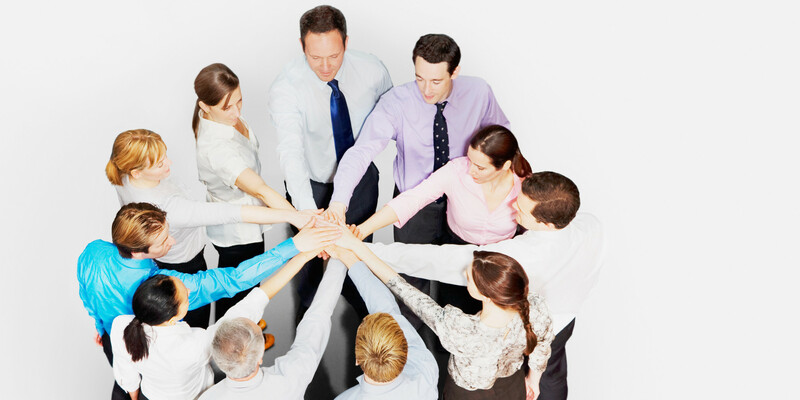 Team building is a great way for your employees to get to know one another on a more personal level. With large groups, you’re bound to have varying personalities, and team-building activities are the best way to become accustomed to each other’s dispositions. There are a variety of team building activities to choose from that focus on these specific outcomes. While you try to make team-building fun, you want to ensure that the takeaways of the activities directly influence your employees working environment, so your team members recognize the benefits of participating. As a business owner, it is vital to pay attention to your employees and understand what team dynamics they may be lacking, and react accordingly, after all your employees are the core of any successful business. 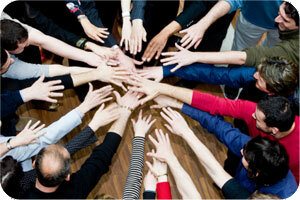 What is your favourite team building activity, and how did it influence your team dynamic? Share your experiences with me in the comments! Goal Setting – Are You Being Strategic? Every business owner, regardless of how big or small their business is, needs goals to keep their business moving forward, their employees motivated and to maintain momentum. There are many different approaches to goal setting, and each one can be as successful as the next. As a business owner you should define short and long term goals, and establish a plan for how to get there. Goals set for your business should align with your personal goals, and be fueled by a big-picture, forward-thinking perspective. Without strategic goals, you may struggle to find the path from where your business currently stands to where you’d like it to be. I’ve put together some goal-setting tips that should help you achieve even your most ambitious business goals! Determine who you are and where you stand. Determine what strengths, weaknesses, opportunities and threats may be helping or hindering you from reaching success. Ask yourself why you began the company — does that old spark still drive your business as it is now? Revisit your personal vision and reflect on how your company has evolved. Write your goals down. Putting your goals in writing and sharing them with your team confirms your commitment to achieving them. While brainstorming is a great place to start, without writing down your goals your focus will fade. 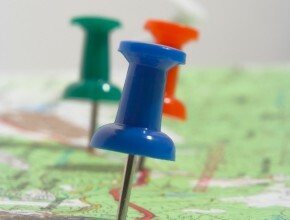 Force yourself to focus by outlining specific goals you and your company can work toward. You may even find writing your goals down to be exciting! In my experience, goal setting brings out the optimism and ambition in myself and my colleagues, and acts as a reminder of how much good we all have to look forward to. Have realistic expectations. Setting unattainable goals won’t lead you to success, and it certainly won’t give you the motivation needed to get there. Goals should be attainable through hard work and effort, and focused around the most important aspects of your business. The goals you set should challenge you and your team. Establish milestones so you can track and measure success. By failing to plan, you are essentially planning to fail! Think about short and long-term success, and visualize what will help keep you and your team motivated. Have a schedule and set monthly milestones so you can track whether or not you are accomplishing the things you wish to. While tracking your success (or failures… because it happens!) you will be able to see what roadblocks lay ahead, and how you can get over them to come out on top. Once you reach a milestone don’t forget to celebrate! Think of how your goals affect your whole team. While goal setting, be tactical and set goals for individuals, different departments, and the business as a whole. Have employees contribute their knowledge and ideas when goal setting to help keep goals realistic and attainable. Sharing goals with the whole team can encourage team effort, and a sense of responsibility. Know your plan of action. Create a plan that supports your specific goals. When reviewing your plan be sure to think about how you will tackle issues as they occur, how issues will affect the team, clients, stakeholders, and whomever else is connected, and whether or not you are clinging to goals that no longer make sense for your business. Fear of failure should never hold you back from setting goals and reaching for them! Effective and strategic goal setting will allow for individual accountability, and most importantly, will help keep your business aligned with your vision, and on the track to success. Do you have short and long term goals set for your company? Do you feel like your goals are attainable and motivating? Tell me about your experiences by commenting below. It seems as though the warmer weather is here to stay, and while you may feel compelled to give your home and yard a spring-cleaning, your business could also benefit from some freshening up as well! I’ve found that this time of year is perfect for taking an inventory of how your business is doing and how you can channel the springtime motivation into making improvements in all parts of the company. Spring-cleaning can cover a wide range of ways to freshen up, most of them supported by the improved mood around the office. Goals for 2014: Depending on your annual cycle, you could have just completed your first quarter of the year. This is a good time to remember the goals you set for yourself and your business, such as the ones I suggested back in January, and track your progress thus far. Perhaps you’ve found that you’ve developed some great habits and solid consistency in your work life, and this motivates you to challenge yourself further. If you’ve veered off the goals you set, perhaps your spring cleaning involves updating your goals or re-committing to them. Administrative Items: As the year gets busier, you might not notice that certain processes or administrative systems are not working for your business anymore. Take inventory of your business processes and see if you notice any inefficiencies or gaps in the way you do things – for example, managing your client email list, invoicing system or your tactics for acquiring new customers. Some minor tweaks or changes now will help your business run more efficiently for the remainder of the year. General Clutter: The state of your office and workplace definitely has an effect on your productivity. If your workspace (whether that be your home office, work office, car, etc) is not organized in a way that you understand and can work within, you are less able to find items you need but this can also make you feel more stressed and less in control of your work life. Taking time to file things away, recycle loose papers and shred old files can give your office, your desk and your mind a sense of freshness. Team-building: We have just made it through a long, difficult winter. Your employees may be in need of some reconnection with the business values and each other. Whether formally or not, schedule some time for your employees to spend time with each other. Team-building workshops and spring revival training are valuable tools that can reignite belongingness and motivation within your team. Look for their input and feedback on the year so far and set goals to continue through the summer with high levels of productivity. Spring cleaning covers a variety of areas of your business, so feel free to undertake any activities that offer you a chance to de-clutter, either literally, administratively or mentally. Take advantage of the lifted spirits that accompany this beautiful weather and channel this motivation into making your business a more efficient and happy place to be. What other spring-cleaning activities come to mind during this time of year? Where have you noticed things “cluttering” in your business? I look forward to your thoughts below.